Originating from Boston, Massachusetts, The Offering break out with their self-titled debut EP. The band formed in 2015 and have developed an original sound, describing themselves as having “a signature version of progressive, furious, and technical power metal with a strong death and thrash approach”. The Offering have created a full, powerful sound that runs through all of their tracks on the EP. Rat King is a strong opening to the EP as it is fast paced and opens with heavy chords from the rhythm guitar. Alexander Richichi’s vocal abilities are displayed from the off; he shows his strength in sustaining long notes and reaching high pitches. The band have devised a way of effectively combing harmonised melodies in the vocal line and guitars in Tales Of Hell. This adds an extra dimension to the track and shows their abilities to design something a bit different but that incorporates into their individual sound. The third tack on the EP, The Well, introduces a new tone through the use of operatic style backing vocals and a greater use of melodies in the guitars. This track also shows the bands exploration with song structure and the fullness of the sound. This track features djent with a full heavy sound, but also a more stripped-down guitar solo, the contrasts shows off the bands understanding of song writing. The final track on the EP, also titled The Offering, introduces a contrast of angelic and demonic themes in the instrumentation. Harmonic vocals and chords present an angelic tone which is contrasted with heavy, minor chords and the use of death growling. 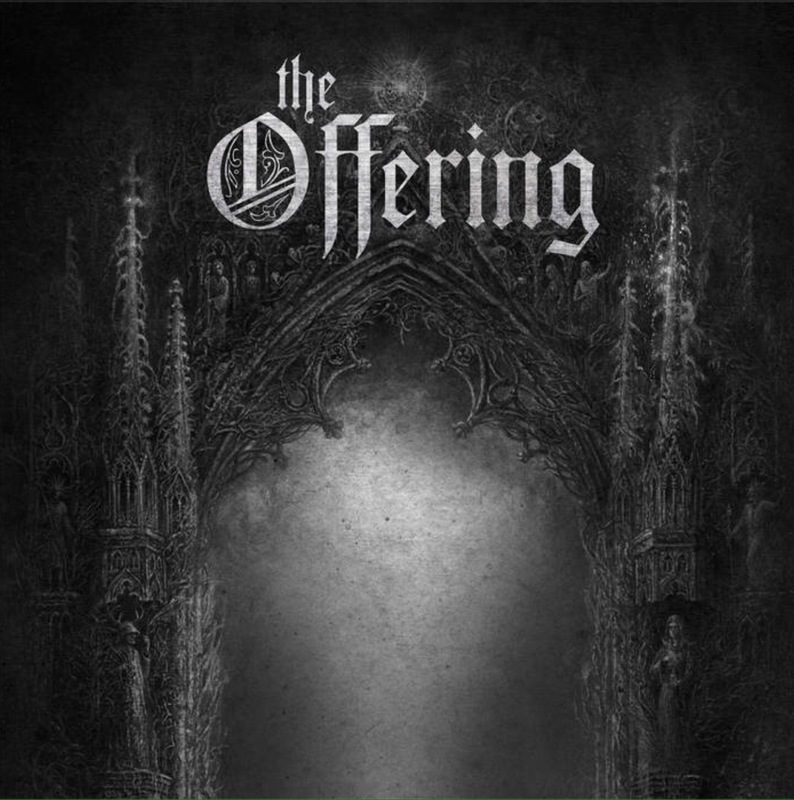 The Offering’s EP displays a desire to be innovative with their music and stand out in the metal scene. This EP shows they are fully capable musicians with their use of guitars and percussion to create a heavy, powerful sound which compliments Richichi’s strong vocals. With the prospect of a full studio album to be released in 2018, it will be interesting to see what they do next. ‘The Offering’ by The Offering is out now on Century Media Recordings.